Well, nothing two by two, since I’m finishing the realistic sculpture of Paula, now I’m moving to the face of Martina, the daughter of a good friend. Who would not like to model that face? the more knowing her, her smile, her aware and always ready gaze. It really is a girl’s charm and she will surely become a great woman. 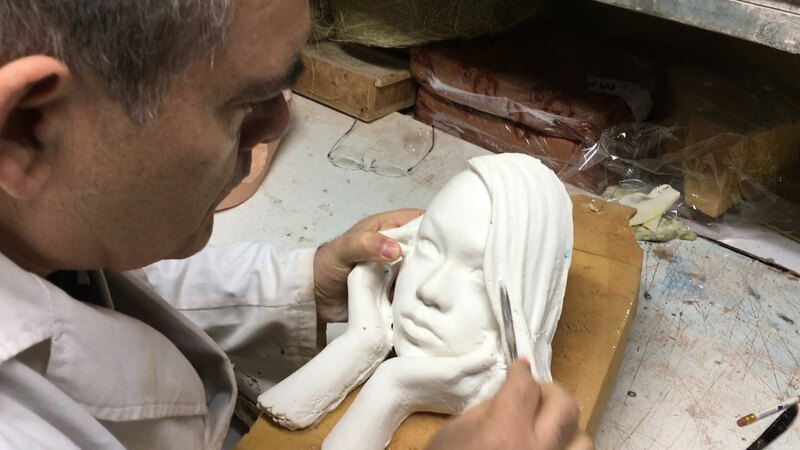 I am optimistic that the sculpture will reflect her character and beauty.